Schnader Harrison Segal and Lewis LLP is a nationally-acknowledged law firm providing impeccable legal services in over 40 areas of law. It was founded in Philadelphia in 1935, when the former state Attorney General, William A. Schnader, and the former Deputy Attorney General of Pennsylvania, Bernard G. Segal, joined hands with Francis A. Lewis. The firm’s founding principles were to deliver high-quality and responsive services to the clients while adhering to standards of ethics, integrity, and honesty. Armed with these basic values, the firm expanded rapidly, and now, it has seven offices in the United States and deal with some of the oldest corporations in the world.  At Schnader Harrison Segal and Lewis LLP, the lawyers are innovative and keep abreast with the changes in technology. Hence, they are outstanding in handling the modern legal problems of the economy such as in the areas of Finance, Intellectual Property, and Aviation. Many of attorneys at Schnader Harrison Segal and Lewis LLP have achieved the eminent AV Preeminent Peer Review Rating by Martindale-Hubbell. Ralph Wellington, a distinguished partner at the firm, stands among the top-rated 78 attorneys in the world for providing exceptional client service according to an independent survey of Fortune 1000 companies. The founding fathers of Schnader Harrison Segal and Lewis LLP were also passionate about community service, and the public service ethics established by them continue with zeal today. The firm has pledged 3% of its total billable time per year to pro bono efforts providing legal counsel to impoverished, homeless, and abused people. Moreover, the firm’s partners and associates routinely counsel public service organizations such as the American Heart Association, American Friends Service Committee, etc. The firm takes complete care of the Caton Village in Philadelphia, which is a house for women recuperating from substance abuse and their children. Q:Schnader Harrison Segal & Lewis LLP has offices located in which areas? A:Schnader Harrison Segal & Lewis LLP has offices located in the following cities: Cherry Hill, New York, Philadelphia, Pittsburgh, San Francisco, Washington D.C. and Wilmington. The firm has developed legal strategies and solutions that fit the culture prevailing in that locality, better suiting the legal needs of clients there. Q:Schnader Harrison law firm practices law in which major areas? A:Schnader Harrison law firm has earned a repute for excellent legal services it provides in the following practice areas: corporate law, business and technology law, employee benefits law, intellectual property law, higher education law, mergers and acquisitions, real estate law, securities law, finance law, class actions, aviation law, insurance law, product liability, labor law, communications and media law, criminal defense law, and many more areas.